Traditional web designers and graphic artist are great at creating beautiful things, but they don’t usually write words to go on the pages. One graphic artist and web developer in Fort Worth even told us, “I’m a graphic artist. I don’t go near words.” His design work is excellent, but you couldn’t use him as a complete solution for branding and marketing. You would need to hire another person. Unless, of course, you go Gonzo. We love to write content, because we know content is what makes the sale. Images are meant to attract your audience’s eye, but the words on the page convince them to buy. Without the right words you have all style, and no substance. The style only approach may look great in the designer’s portfolio, but it does nothing to add to your bottom line. Finding the right balance between words and pictures is a challenge we love to tackle. 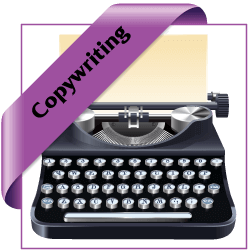 When it comes to writing website content and creating copy for your marketing, Gonzo Strategies takes a unique approach. We create a virtual character to mirror your target audience. Thinking like your target audience character allows us to put things in perspective the same way they do, and react the way they would. This form of Gonzo marketing strategy gives your marketing a voice that reinforces your company branding and appeals to your target market. It guides us through all of your marketing efforts so you always know what to say to your audience.